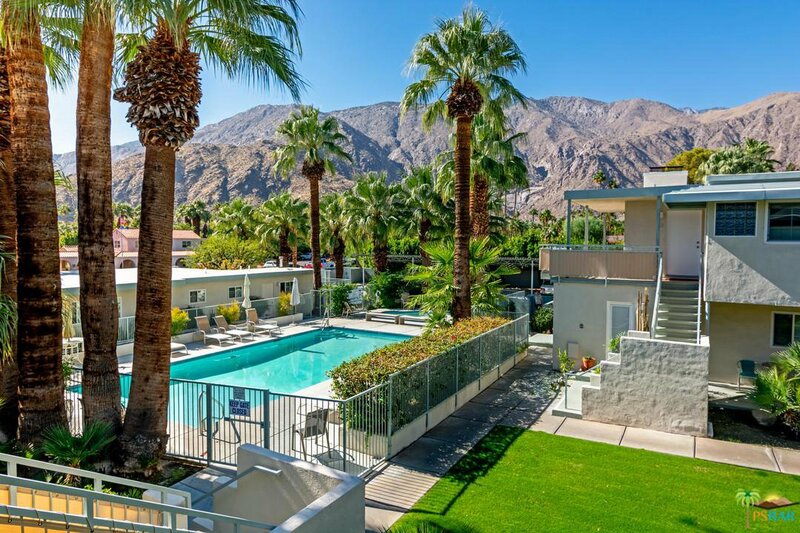 Walk to Palm Springs restaurants and night life from your updated mid-century condo! Located in Old Las Palmas just steps away from Palm Canyon, Villa Hermosa was originally designed by Albery Frey in the 1940's. In 2003, the development was substantially renovated into luxury condominiums and restored to its original elegance. The beautiful pool and spa are enhanced with spectacular mountain views. Perfect for a weekend get-a-way or a lovely place to call home, this condo is a "must see"! Courtesy of Berkshire Hathaway HomeService, Louise Hampton Team - CA DRE#00802409 Selling Office: BHGRE I Leaskou Partners.